Yay! for early twenties love stories that aren’t classified as New Adult or Erotica. I found this book awhile earlier, but have yet to find it at a used bookstore (which in my head has to mean that it is really good! ), but when I get another Barnes and Noble gift-card, I am planning on picking it up. My best friend highly recommended it to me and I haven’t read any particularly awful reviews, so I am excited to read my second book by Colleen Hoover. 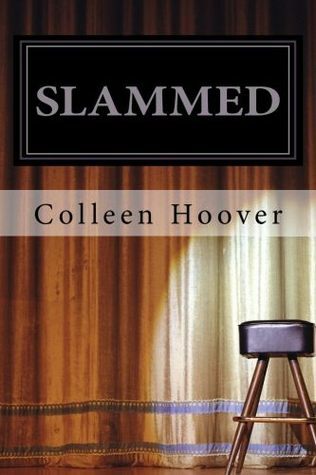 Slammed is a typical “neighbor romance” where troubled girl lives in one house and then moves in even more emotional boy and when they finally get together, well sparks fly of course. At first they make a great, intense couple, but then something happens that forces their relationship to an end. Between the secrets and passion pulling them together and apart, this read is said to be a roller-coaster. Definitely my kind of book, especially with it making Goodreads “Best Book Boyfriends” list.